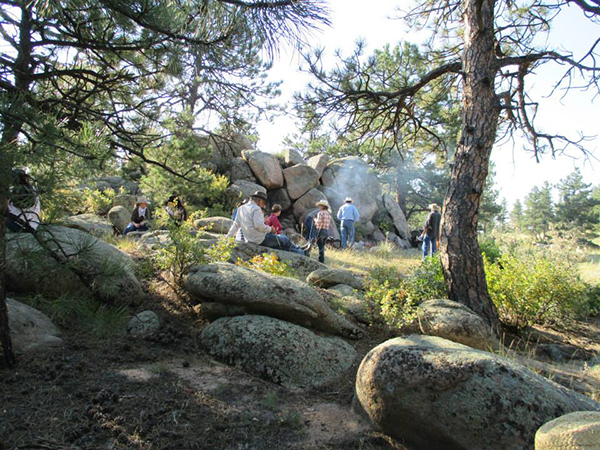 Travel to this Colorado guest ranch for their special weeks, including the Great Grownup Getaway, a kid-free week! West of Loveland and an hour north of Denver, Sylvan Dale Guest Ranch is a family-oriented, environmentally conscious dude ranch. 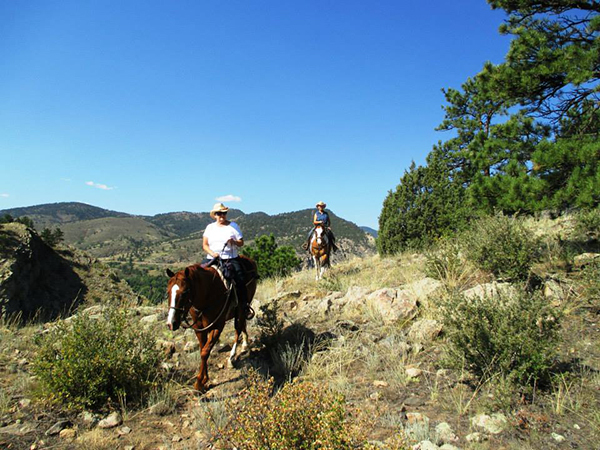 While not as many solo travelers visit the ranch during the summer, this ranch’s special weeks, including the Great Grownup Getaway, are an attraction for solo travelers who want to ride the Rockies. Enjoy adult activities like wine and cheese tastings, guided nature hikes, country dance lessons and the breakfast ride to the Green Ridge. There is also the Great Grownup Getaway offered each August, which draws in guests from around the world. The ranch is 5,280 feet in elevation, which is around the same as Denver, meaning those who suffer from elevation issues should enjoy this lower elevation climate. Riding during the Great Grownup Getaway at Sylvan Dale Guest Ranch. Special weeks are priced accordingly per person. Please check out the Sylvan Dale site for more information. 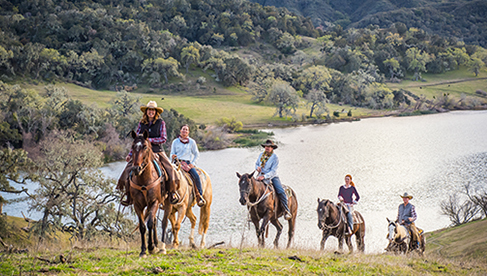 Solo travelers should aim to visit this ranch during special Cowgirl and Adult Only weeks, including the Great Grownup Getaway. 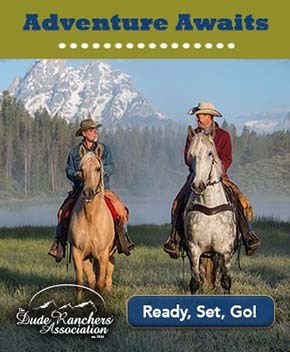 Learn about Sylvan Dale Guest Ranch on their website and on their page in the Equitrekking Vacation Guide and at Top20Ranches.com.